For the California mountain with a similar name, see Eagle Rest Peak. Eagles Rest Peak (11,263 feet (3,433 m)) is in the northern Teton Range, Grand Teton National Park, Wyoming. The peak is located west of and across Jackson Lake from Colter Bay Village. The peak rises dramatically almost 4,500 feet (1,400 m) above Jackson Lake in less than 1 mile (1.6 km). Waterfalls Canyon is to the north of the peak and Snowshoe Canyon lies to the south. ^ a b "Eagles Rest Peak, Wyoming". Peakbagger.com. Retrieved 2011-05-28. ^ "Eagles Rest Peak". Geographic Names Information System. United States Geological Survey. Retrieved 2011-05-28. 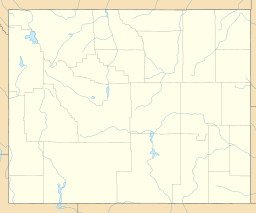 ^ Ranger Peak, WY (Map). 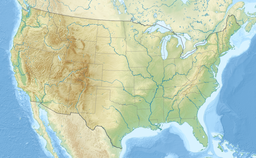 TopoQwest (United States Geological Survey Maps). Retrieved 2011-05-28. This page was last edited on 20 December 2018, at 15:20 (UTC).